The billion-dollar healthcare system in the U.S. continually seeks to generate more value, thus requiring each stakeholder in the system to change the way of providing services to patients. The shifting competitive landscape is being felt most by independent pharmacies, which are reworking business models to optimize their services. Akbar Merchant, President and Owner of Micro Merchant Systems, explains, “With a client-centered approach, our customizable suite of products accommodates the needs of individual pharmacies for maximum impact in productivity.” Founded on the premise of “Software without Limits,” Micro Merchant Systems has remained in the spotlight in a highly demanding and rapidly changing industrial arena. Micro Merchant Systems develops pharmacy software solutions that help independent pharmacies, hospitals, and institutions fill prescriptions swiftly, securely, and profitably while meeting the challenges of the current pharmacy market. 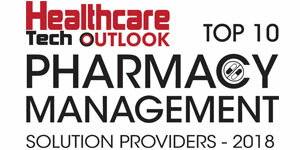 Micro Merchant Systems’ robust pharmacy management software, PrimeRx™, supports and guides independent pharmacies. Ketan Mehta, CEO of Micro Merchant Systems, elaborates, “PrimeRx™, the complete pharmacy dispensing solution, includes features that streamline daily processes to enhance overall productivity with tools that simplify workflow, patient and provider intake, process claims, label and dispensing, and inventory management.” The efficiency of PrimeRx™ improves integrated patient management aiding in the identification of medication synchronization candidates, patient medication adherence reports to strengthen chronic medication center Five Star ratings, and insurance management to increase revenue and profitability. It also results in the reduction of dispensing errors. With its client-centered approach, the company’s customizable suite of products accommodates the needs of individual pharmacies. PrimeRx™ functions with the help of other software like PrimePOS™, the point of sale system and PrimeESC™, which captures the electronic signature of the patient. PrimeDMS™, the document management system, PrimeDELIVERY™, the delivery module, and PrimeWEB™, the customized web portal also helps in simplifying the process of managing pharmacies effectively. These products allow the user to create, name, and prioritize workflows as per need. The automated refill management system improves patient adherence by allowing PrimeRx™ to fill and refill their medication by scheduling the monthly pickup. It also ensures that the drug is returned it to the stock if it has not been picked up for within 14 days of the scheduled date. Micro Merchant Systems also facilitates the appointment-based model whereby monthly appointments are scheduled for patients, and the registered pharmacist can perform a complete medical review. Micro Merchant’s clinical assessment module captures clinical data to create customized patient care plans. The software is developed to automate the process of generating electronic orders from wholesalers as per requirements and even compares wholesaler prices to find the best deals for the pharmacy. The PrimeRx™ Owners app provides real-time business performance information to improve the experience of pharmacists further. Two-way outbound calling, messages, email and even fax integration is provided for patients—these have a range of functions, from reminding them to pick up their medication to prompt them to take it on time. By bar-coding the bins, Micro Merchant Systems ensures that technicians can gather patient data rapidly, which enhances the patients’ experience. On the security side, the company ensures that databases are not only encrypted but also stored on a remote server to aid in disaster recovery. Also, only the authorized personnel are allowed to access the data. Continually updating PrimeRx™ and other products with new technology to meet changing requirements and retaining its user-friendly nature remains of prime importance to Micro Merchant Systems. With systems installed in more than thirty states across the US, the company maintains a highly stable position in the pharmaceutical software industry. “Our innovative range of products will remain meticulously designed to meet any pharmacy’s evolving needs,” concludes Mehta.